Hey friends! It's Easter week. 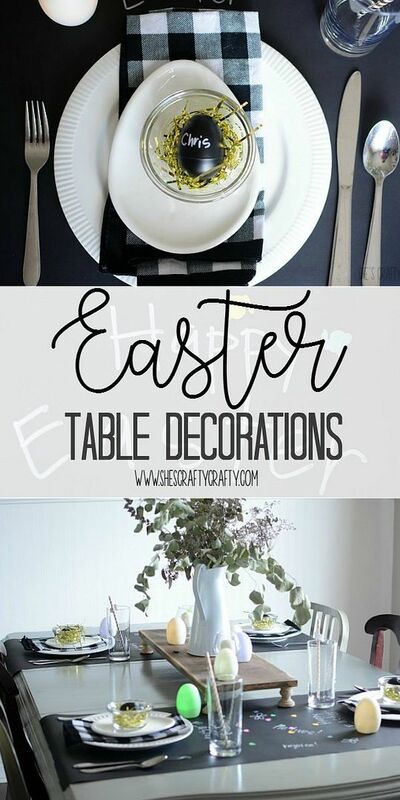 Have you given any thought as to how to are going to set your table? 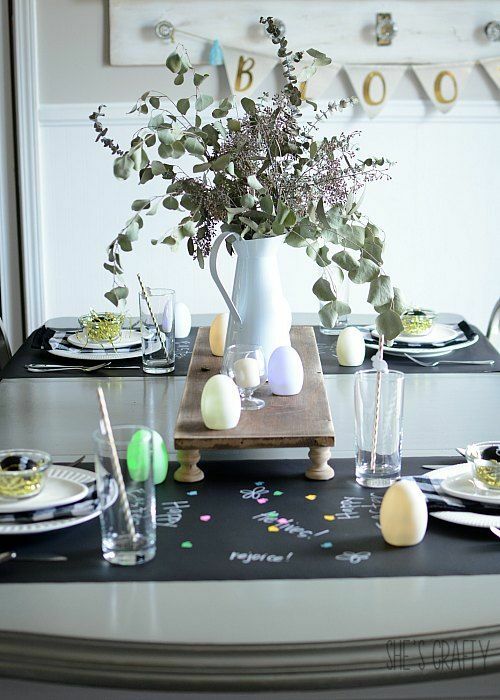 I have a very simple Easter Table Setting that can be easily duplicated. I am a brand ambassador with Oriental Trading Company. I was sent products in exchange for this post. All opinions are my own. 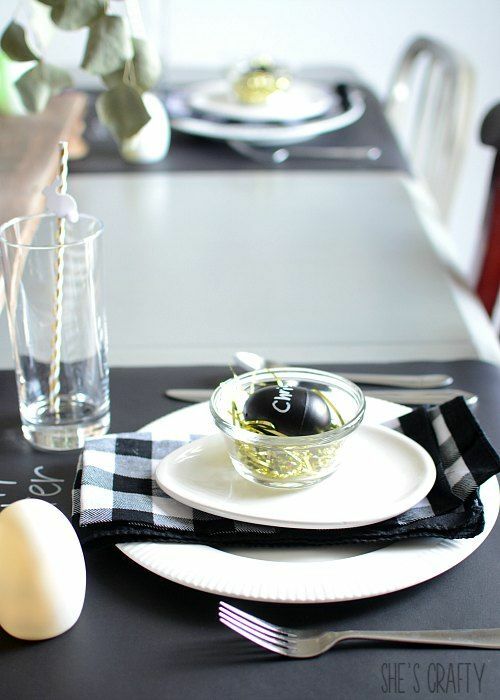 When setting my table, I like to keep things very simple. 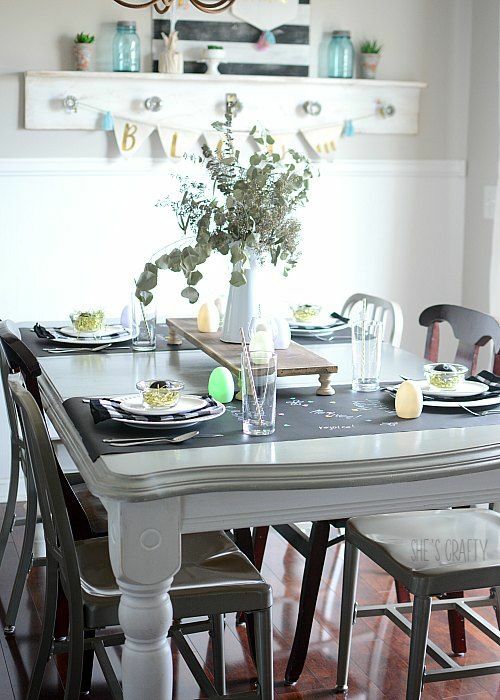 My gray painted table is a pretty easy backdrop to work with. And since I have really been loving neutral colors lately, I decided to stick with that and add small pops of color. 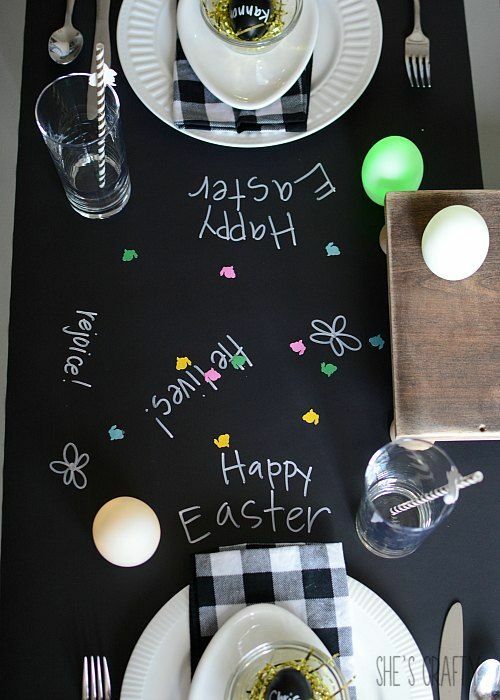 I used 2 pieces of chalkboard paper that ran across my table. 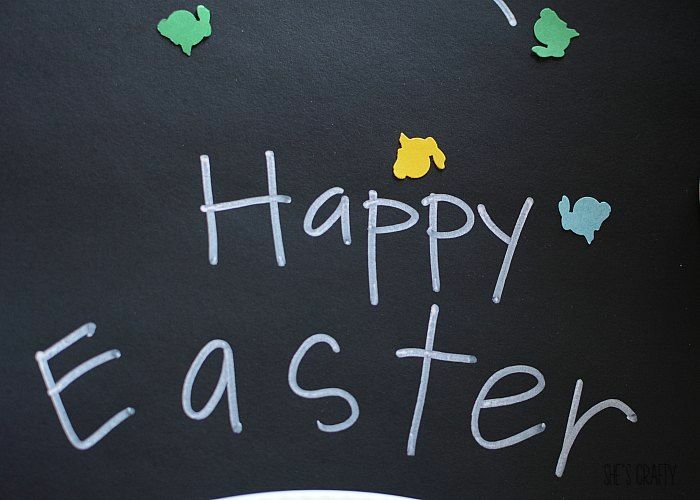 On the paper, I used a chalk marker to write Easter messages. I also punched colorful bunnies from cardstock using a paper punch. 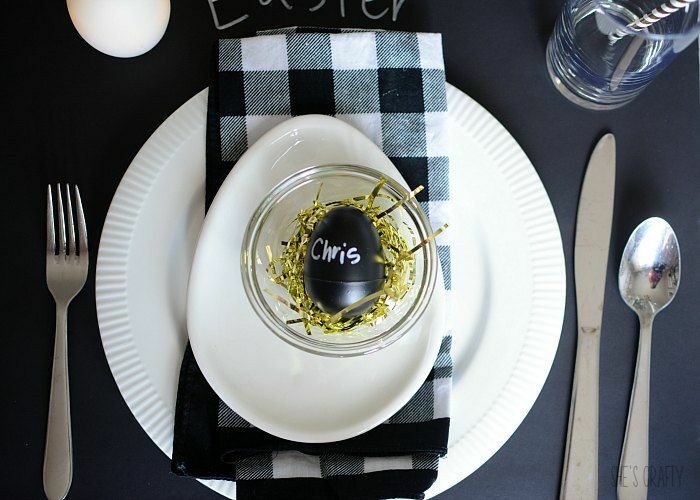 I used our every day white plates, a buffalo check napkin, white egg plates from Target dollar spot, a clear glass bowl, gold shred, and a chalkboard egg with a name written on. 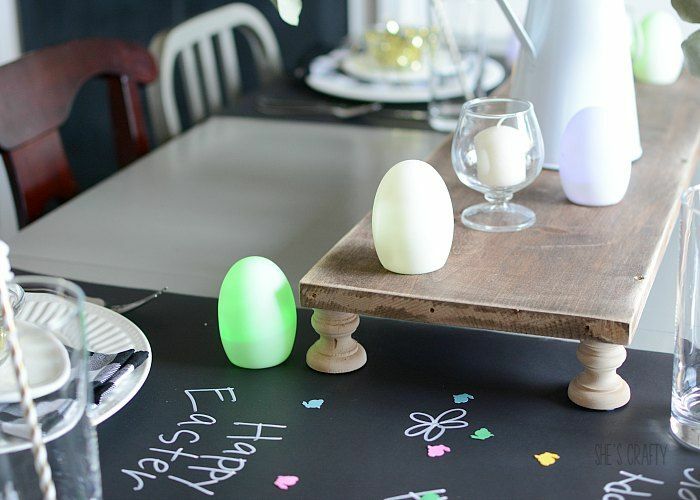 I added some light up Easter eggs. I used a pitcher and some dried seeded eucalyptus in the center, on top of my table board. I also dded some candles and candle holders. 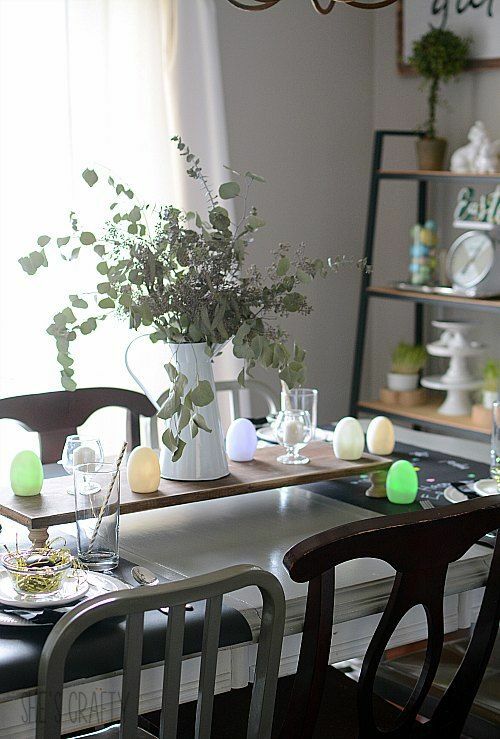 Love the setup Candice! 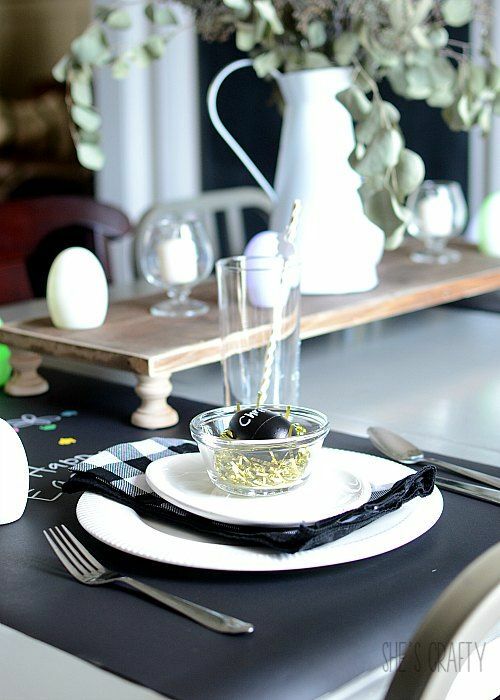 :) At first I thought it's a chalkboard table!